The EtG Hair Follicle Test is a type of alcohol test that can detect ethanol consumption in the past 90 days. Veritas Lab the only laboratory in the United States that offers EtG Hair Follicle test for Alcohol in all 50 states. Veritas Lab network of laboratories designed and implemented a special test that can detect alcohol use in prolonged periods of time. Hair follicle EtG test will go back as far as 90 days. YOU MUST HAVE AT LIST 1.5 INCHES OF HAIR ON YOUR HEAD IN ORDER TO DO AN ETG HAIR FOLLICLE ALCOHOL TEST. Statistics show that every third violent crime and 2 of 3 fatal car accidents in the US are associated with alcohol consumption. Alcohol abuse is a big concern for employers. Many work-related injuries are associated with alcohol. The first alcohol products were found 10-11000 years BC and made more people die from alcohol-related diseases than died in the all wars combined. Alcohol cause dependency, affects your liver, kidney, heart muscle, digestive system, reproductive system, and your mental stage. Ethanol is the main ingredient of every alcoholic beverage. Use of alcohol can be detected by direct ethanol traces in the breath, blood, and urine. These tests can be done on the first day. After that, ethanol is being broken down by your liver and cannot be detected in direct ethanol testing. Veritas Lab network of laboratories designed and implemented a special test that can detect alcohol use in a prolonged period of times. It can be done by searching for a direct metabolite produced by your body in response to ethanol intake. EtG stands for Ethyl Glucuronide. Ethyl Glucuronide (ethyl β-D-6-glucuronide) is a direct metabolite of ethanol which can be found in your urine for up to 80 hours and in your hair for up to 90 days. Veritas Lab offers Hair Follicle EtG (ethyl β-D-6-glucuronide) Alcohol Tests around the country. EtG Hair Follicle Test is a perfect solution for those who need the proof of long-term sobriety. Which test is more accurate the regular alcohol test or EtG? The regular tests for alcohol search for ethanol in your system. Many products contain a small amount of ethanol, and some of the bacteria, fungal infections and even diseases such as diabetes can produce ethanol in your body. All of these factors can cause a positive reaction to traditional alcohol tests. EtG Hair Follicle tests do not check for ethanol. Ethyl Glucuronide is a metabolite which is produced in your body in response to a presence of ethanol. Small amounts of ethanol injected into your bloodstream or urine by bacteria, mouthwash or diseases do not cause a response with ethyl glucuronide production. So if you tested positive on traditional alcohol test, it can be explained by non alcohol-related factors. If you tested positive on EtG Alcohol Test – it means that you did consume alcohol. Also, ethanol can only stay in your system for 12-24 hours. After this period no traces of ethanol can be found. Ethyl glucuronide (EtG) as a metabolite will stay in your storage organs for a long period of time. It can be found in the urine for up to 80 hours, and it will stay in the hair indefinitely as long as you’re not shaving it. I had one beer will it show up on the EtG Hair follicle Alcohol Test? How many drinks will cause a positive EtG Hair Follicle Alcohol Test? The answer is no. One drink will not lead to a positive EtG Hair Follicle Alcohol test results. Only a sufficient amount of ethylglucuronide will be detected and interpreted as a positive EtG hair follicle results. Will you be able to determine when exactly person drank? Will EtG alcohol hair follicle test show the dates or time period of alcohol intake? The answer is no. Veritas Lab will only provide EtG Hair Follicle results as positive or as negative for alcohol consumption. The EtG Hair follicle drug testing is an indicator of chronic alcohol use and can be used as an evidential proof for a drinking problem or long-term sobriety. The EtG Hair follicle Alcohol Test is not meant to be a one drink catcher. If you are looking for a more time-sensitive alcohol test, you may check our Urine Alcohol Test or EtG Urine Alcohol Test. If you charged for an alcohol-related crime, driving under influence (DUI) or driving while intoxicated (DWI), you might be ordered to prove long periods of sobriety before the court will drop your charges or restore your driving license. If you were ordered by the court, a probation officer or your lawyer advised you to take a Hair Follicle EtG Alcohol Test, Veritas Lab offers you a unique opportunity to do so. We have the most extensive network of the collection sites in the country where we can collect your hair using the chain of custody protocol. EtG Hair Follicle Alcohol Test for Child Custody Family court may limit your custody or visitation rights if you were accused of alcoholism. The judge might logically think that a drunk parent can endanger the child and will ask you to provide a proof that you can stay away from alcohol for an extended period of time. Veritas Lab works with the family court system in all 50 states. Our Hair Follicle EtG Alcohol test results are court admissible and can be used as evidence of sobriety in the court of law. If your family attorney is advising you to undergo Hair Follicle Alcohol EtG testing, Veritas Lab will be glad to be your lab of choice. EtG Hair Follicle Alcohol Test for organ transplants. If you had a history of alcoholism and your physician is advising an organ transplant, the Transplantation Committee can refuse you as a recipient or move you at the end of transplant risk as a high-risk recipient. Ex-alcoholics have a high risk of relapse which will most likely cause failure of the transplant. To convince the Transplantation Committee that you left your drinking problems in the past is to take Hair Follicle EtG Test. Sometimes several tests are needed to have a strong proof of sobriety. Veritas Lab will be happy to work you through the process of Hair Follicle testing for Alcohol. We will report your EtG Hair Alcohol test results in a timely manner. How much hair needed to take Hair Follicle EtG Test? How long should my hair be for alcohol hair follicle test? For EtG Hair Follicle Alcohol test, we only can collect hair from your head. No body hair can be collected for the hair follicle alcohol test. Your hair must be at list 1.5 inches long. Veritas Lab requires at list 120 strands of hair in order to perform Hair Follicle EtG Alcohol Test. 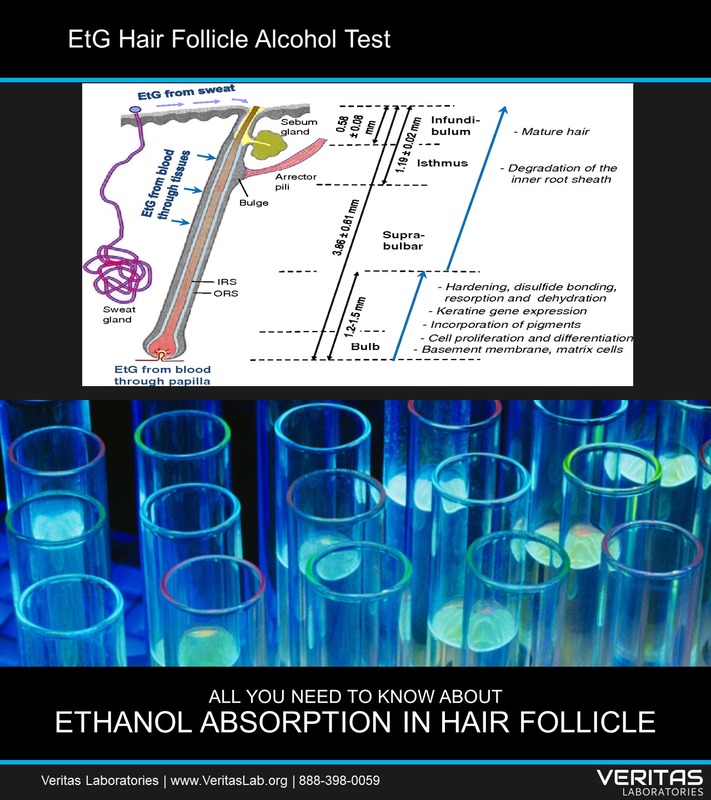 Infographics: Facts about Hair Follicle EtG testing for Alcohol in the United States. 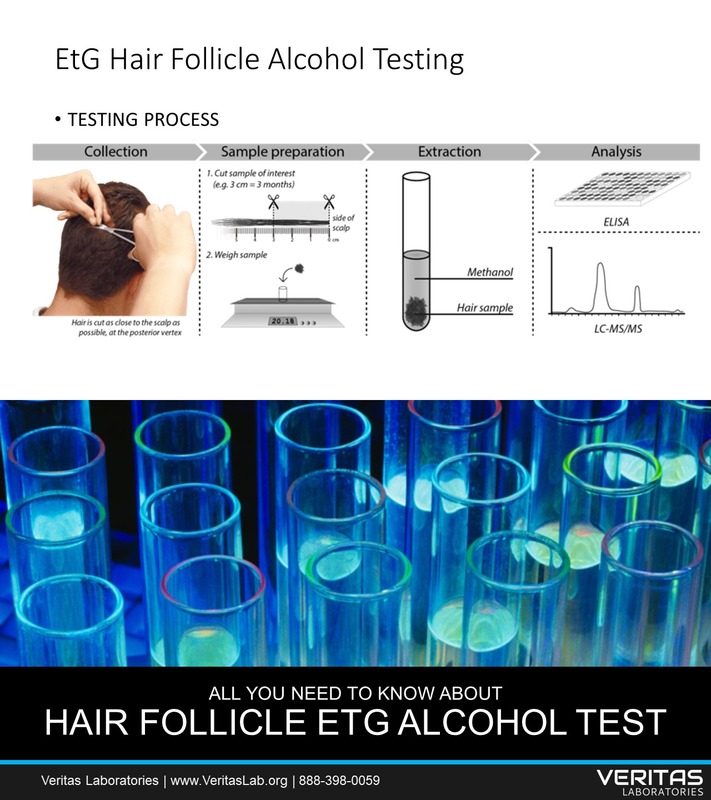 How is the EtG Hair Follicle test for alcohol done? What methods and techniques are used to do Alcohol Hair Follicle Test? Veritas Lab uses both gas chromatography-mass spectrometry GC-MS and liquid chromatography-mass spectrometry LC-MS methods. They designed to implement toxicology testing for specific substances which are temperature sensitive. Veritas Lab is a network of SAMHSA, FDA and ISO accredited laboratories, and we are licensed to do Hair Follicle EtG Alcohol Test in all 50 states. We utilize state of the art equipment and board-certified toxicologists to test hair samples for alcohol. Every non-negative hair follicle alcohol results first reviewed by Medical Review Officer and donor interviewed before final results released. Can I cheat on hair follicle alcohol test? Is there any shampoo that I can use before hair follicle EtG Test? The only real way to cheat on Hair Follicle Alcohol EtG Test is to shave your head bald. However, the ordering authority might question your sudden hairstyle changes at the time of hair alcohol testing time. A lot of fraudulent companies sell cleaning liquids and shampoos over the internet. There is no scientific evidence or reports for these products to be effective. Some donors use extreme bleaching of hair. This method not only kills your hair but also will be noticed at the laboratory and sample will be rejected. Can I do Hair Follicle EtG Alcohol Test on my own will? Do I need a doctor’s prescription or court order in order to take Hair Follicle EtG Alcohol Test? Veritas Lab offers EtG Hair Follicle Alcohol test for both legal entities and individuals. You don’t need to have any referrals or orders to take Hair Follicle Alcohol Test. Where can I find the nearest lab to take a Hair Follicle EtG Alcohol Test? Clinic for Hair Follicle Alcohol EtG Test near me. Veritas Lab has over 5000 collection sites in all 50 states which makes us the largest network for Hair Follicle EtG Alcohol Testing. We’ll be able to locate a collection site within a reasonable distance from you. Do I need to schedule an appointment for Hair Follicle EtG Alcohol test, or I can just walk in? You must register for Hair Follicle EtG Alcohol Test first. You can do it on this website or by calling us. The registration process is fast and easy, and will only take a few minutes of your time. You will be issued a registration number. Just take this number to our facility, along with a government-issued photo ID. When your name in our system you are welcome to walk into Veritas Lab collection site any time between the hours of operations. Will my insurance cover the EtG Hair Follicle Alcohol Test? Medical insurance will not cover EtG Hair Follicle Alcohol Test, since it is not a medical necessity, and this test is not taken for a medical condition. There’s simply no medical billing code. How much hair follicle alcohol EtG Test will cost? 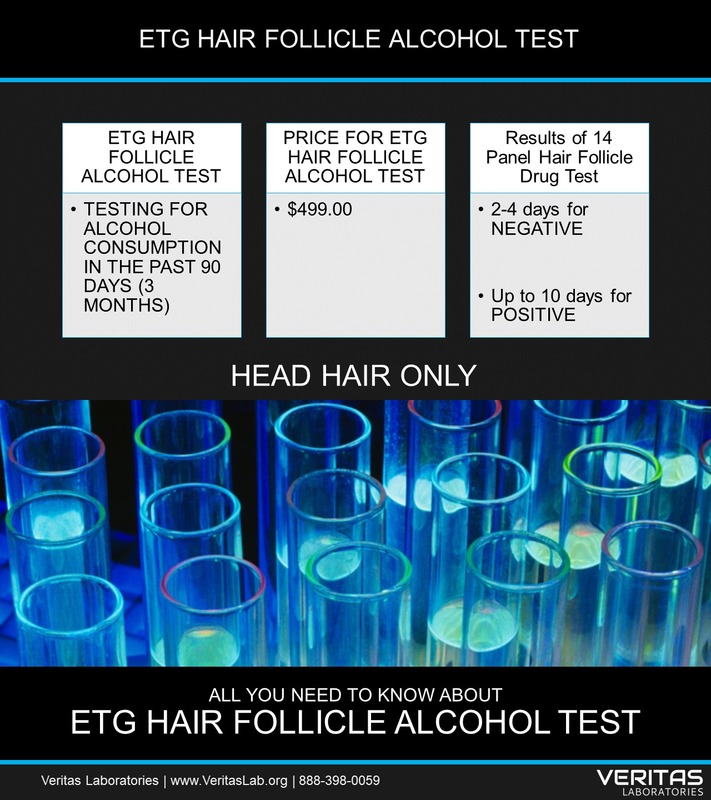 Price for EtG Hair Follicle Alcohol Test is $499. What are the cut-off levels for Hair Follicle EtG Alcohol Test? Veritas Lab uses 20pg/mg as a cut off levels for EtG Alcohol Hair Follicle Drug Test. SAMHSA recommends these levels as conclusive and evidential. How do I take EtG Hair Follicle Drug Test? How do I register for EtG Hair Follicle Alcohol Test? You can register for EtG Hair Follicle Alcohol test on this website or give us a call, and we’ll be able to do it over the phone. We will issue you an authorization number, which you will take to the clinic. Our certified drug testing collectors will collect your hair using a chain of custody protocol. Then your sample will be securely sealed and taken to one of the national processing laboratories. At the lab, samples will be examined for any signs of tampering. If a sample is accepted, we will proceed with the testing. After testing is completed, Veritas Lab will report electronic results over the email or fax. If the sample is initially tested as not negative by SAMHSA guidelines, we will have to test the sample second time. Confirmation testing of the hair sample is important to exclude any errors on initial screen. How long it takes to receive a result for EtG Hair Follicle Alcohol Test? Negative EtG Hair Follicle Test results usually available in 2-4 days. Confirmation testing for positive results can take up to 10 days. Can I use EtG Hair Follicle Alcohol results in court? Yes, all Veritas Lab EtG Hair Follicle Alcohol Test results are court admissible and can be used in the court system of every state, and on the federal level as scientific proof of sobriety. Who is the Medical Review Officer? Why do I need a drug test with an MRO? Where can I get an EtG Hair Follicle Alcohol test with an MRO? An MRO is a licensed medical professional who has completed his residence typically in the pathology field and became certified by the American Association of Medical Review Officers (AAMRO). The American Association of Medical Review Officers designed a special internship program where doctors learn how to read and interpret drug and alcohol test results. Signature of an MRO along with the chain of custody alcohol testing procedure and testing in SAMSHA accredited lab are strict requirements that must be met in order for results to be admissible in a court of law, and government authorities. The goal of the MRO is to make sure that nothing interferes with the results such as diet, health conditions or prescription medications taken by the donor. Your results will not be reported to your employer or to other authorities who ordered the test until you have a chance to discuss them with the MRO. This is to protect your confidential medical information and prevent ordering authority from liability of getting exposed to your health condition. You must make sure you promptly respond to MRO’s request for contact in order to use this opportunity to explain positive findings in your sample. Shall you fail to respond, the MRO will report raw results to the test-ordering party with the note “MRO interview could not be conducted.” You will still have a chance to contact your physician and present your argument after results are reported. If MRO is satisfied with your explanation, results might be resigned. The MRO will carefully review and analyze collected all collected information and makes the final decision if the test is positive or negative for alcohol abuse. All results which have shown the presence of alcohol called non-negative, until MRO signs their expert decision to call them positive. Veritas Lab utilizes the MRO process for all hair follicle alcohol tests for confidentiality and comfort of tested donor and ordering organization. Cost of the MRO services is already included in the basic price so you never pay extra for the necessary MRO signature. Where can I find a local clinic to do an EtG Hair Follicle Test for Alcohol? Lab for EtG Hair Follicle Alcohol Test near me. Where can I read more about alcohol testing EtG Hair Follicle in my state? Do you have a QR Code for EtG Hair Follicle Alcohol Test? 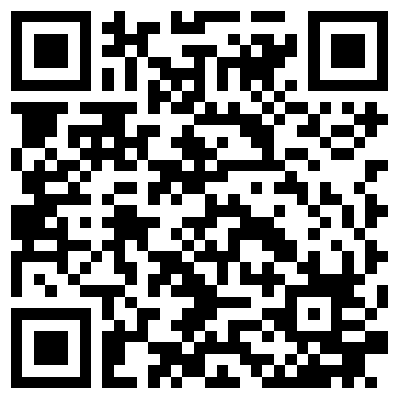 Yes, we do have a QR Code for EtG Hair Follicle Alcohol Test. Turn on the camera on your smartphone or tablet and scan it so you can read more about EtG Hair Follicle Alcohol Test or order it online. 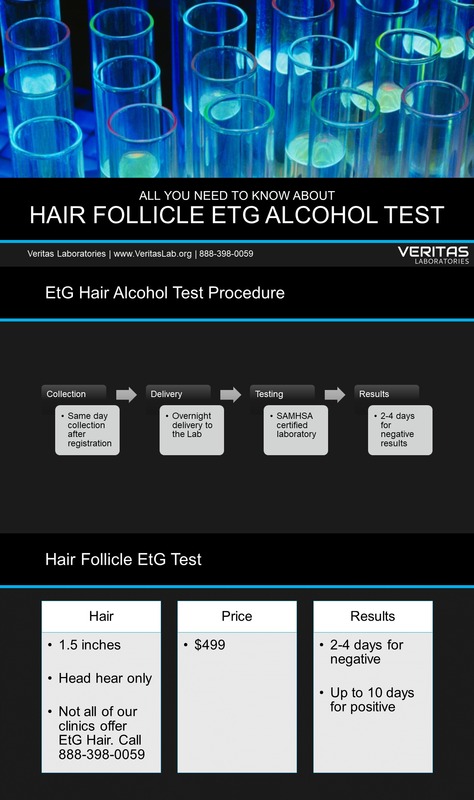 Where else can I find Veritas Lab that offers an EtG Hair Follicle Alcohol Test? What are you hashtags for EtG Hair Follicle Alcohol testing? Do you have a hashtag for an EtG Hair Follicle Alcohol Test at Veritas Lab? Hashtags for EtG Hair Follicle Alcohol Test?